Today’s Jewish grandparents are actively building relationships with their grandchildren. Yet, programming for this generation is lacking. Enter: Jewish Grandparents Network. Long gone are the apron-clad bubbe who slaved over matzah ball soup and the pipe-smoking zayde who watched the evening news in his Barcalounger. Today’s Jewish grandparents are tech-savvy, active seniors who FaceTime on school nights and fly into town for a weekend with their grandchildren. According to a report last year by the U.S. Census Bureau, the number of grandparents in the United States is growing. Its population reached 69.5 million in 2014, up from 65.1 million in 2009. Baby Boomers, the youngest of whom turned 50 in 2014, have a total population of 75.4 million. That’s a lot of grandparents, and yet, the Jewish community is lacking programming and education for Baby Boomers. The problem is nationwide, but Atlanta offers little more than annual Grandparents’ Day at day schools. Co-founders of Jewish Grandparents Network, David Raphael of Atlanta and Lee Hendler of Baltimore, Md., seek to rectify this oversight. 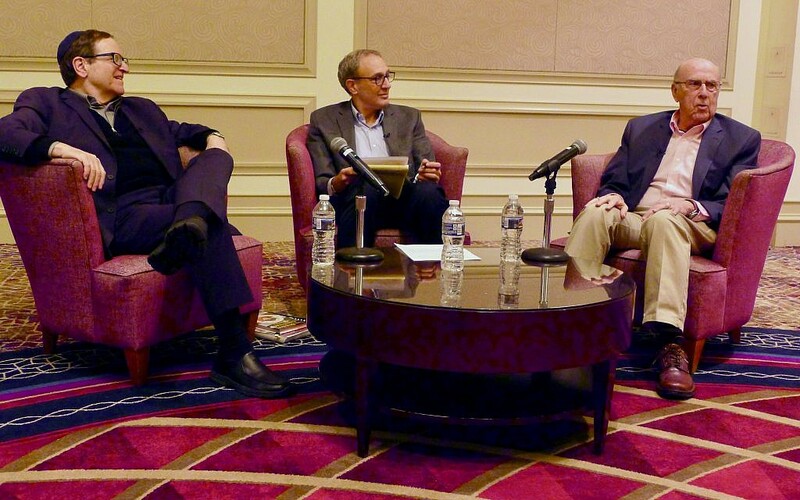 Flanked by Ron Wolfson (left) and Marshall Duke (right), David Raphael says Jewish grandparents are often undervalued and overlooked. JGN launched its first program, “Grandma, Grandpa Tell Me a Story,” at The Temple Oct. 28. Ron Wolfson of American Jewish University and Marshall Duke of Emory University shared their stories with about 40 grandparents, talking about the way oral tales play a role in sustaining Jewish traditions and strengthening families. And on Nov. 5, JGN launched the first national study of Jewish grandparents. Ten Jewish communities, including Atlanta, and five national organizations are partners in the study. It is underwritten by the JGN with support from Hendler, the Jim Joseph Foundation, The Covenant Foundation and Mike Leven. Grandparents are the most reliable connection to Jewish life and experiences, especially for Millennials who don’t belong to Jewish organizations or necessarily observe many rituals, Hendler said. 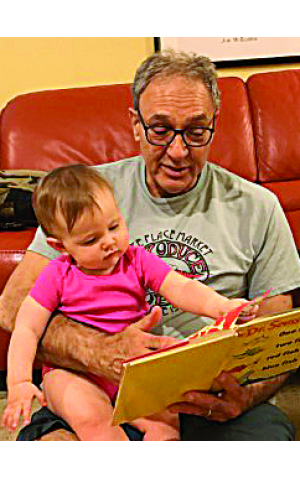 David Raphael, co-founder of Jewish Grandparents Network, with his granddaughter, Bina. Study after study reinforces the findings of Raphael and Hendler: Grandchildren cite the relationship with their grandparents as a major reason they identify Jewishly. Another study of 1,150 Jewish college students, conducted in 2014 by researchers Barry Kosmin and Ariela Keysar, discovered that when grandparents accompanied the students to synagogue and other Jewish settings, they were most likely to feel strong attachments to Israel and the Jewish people. Additionally, surveys of Birthright Israel alumni reveal that connection to Jewish grandparents is an important predictor of a wide variety of positive Jewish attitudes and practices in adulthood. That’s because Judaism is so valued by older Jews and they pass that connection on to their grandchildren. According to the Pew Research Center Global Religious Landscape Study of 2015, more than 70 percent of Jews ages 55 and older respond that religion is either very important or important to them. 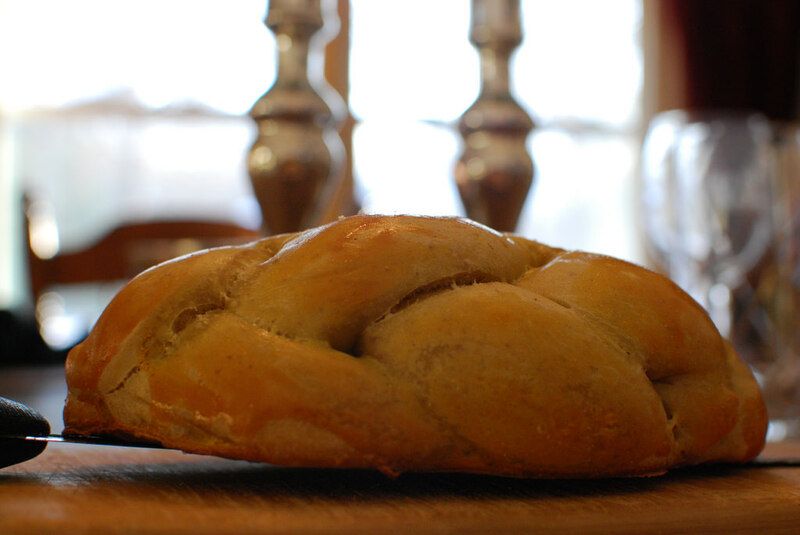 Aimed at adults from age 55 to 80, JGN plans to engage those with grandchildren of Jewish and mixed-faith families. JGN maintains that financial support and personal time, including paying for Jewish preschool and taking grandchildren to Tot Shabbat, is the role of today’s Jewish grandparent. By navigating the “new Jewish family” which includes multifaith, divorced, single parent and LGBTQ families, Jewish grandparents deserve meaningful dialogue and learning opportunities. JGN is working with a research firm to gather quantitative data on family demographics, beliefs, behaviors and needs of Jewish grandparents. A sample of the survey will be distributed nationally to 1,500 members of synagogues, Jewish community centers and other Jewish organizations. Raphael, who lives in Sandy Springs, spent his 30-year career with Hillel International creating Jewish opportunities. He values listening, collaboration and building community. “That’s how we create a Jewish community of meaning,” he said. To take the JGN survey, visit www.grandparents.2.vu/1. JGN also maintains an active Facebook page, ww.facebook.com/groups/JewishGrandparentsNetwork.